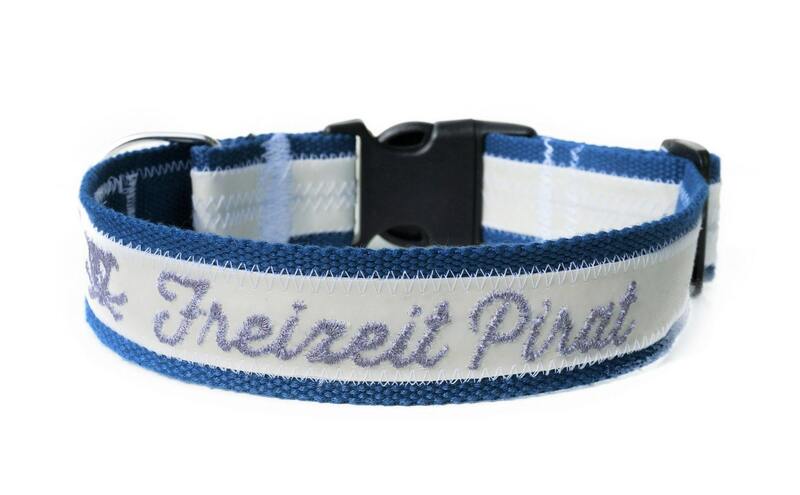 Collar of sail-combined with blue strap with embroidery. 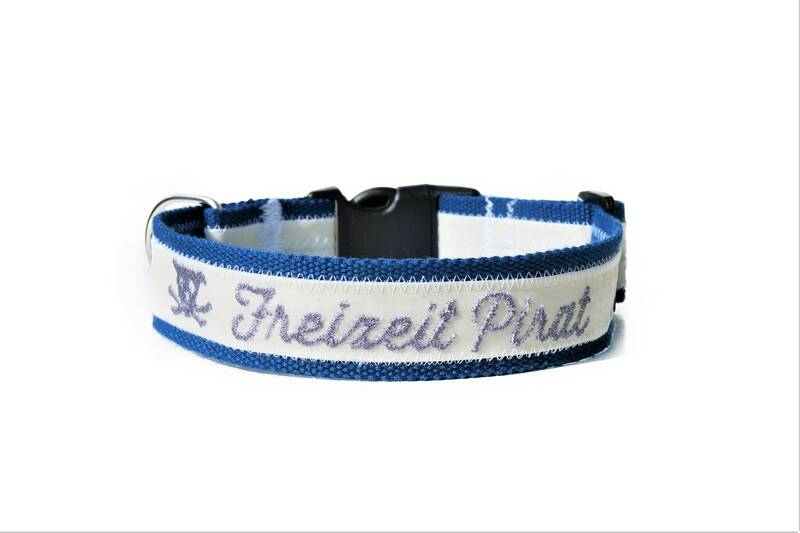 The zigzag stitch typical of sailing seams and the grey "FREE PIRAT" lettering, which are typical of sailing seams, are striking. 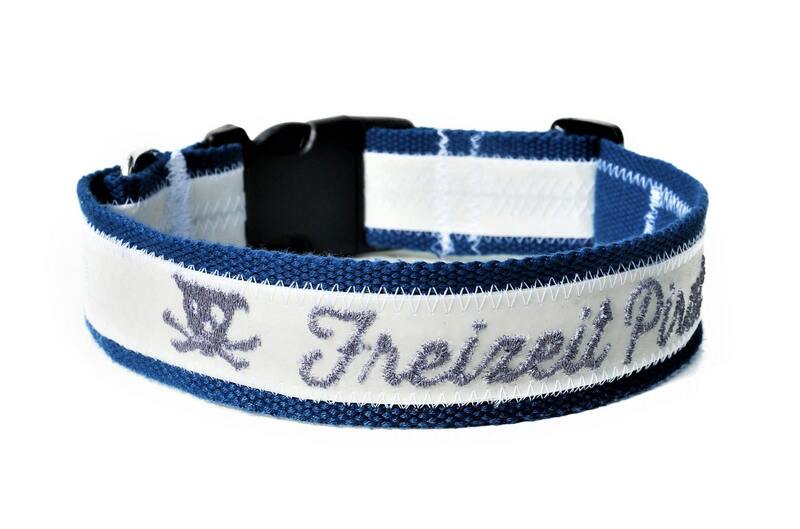 A great upcycling product, because the material has already had a first sporting life as a sail. 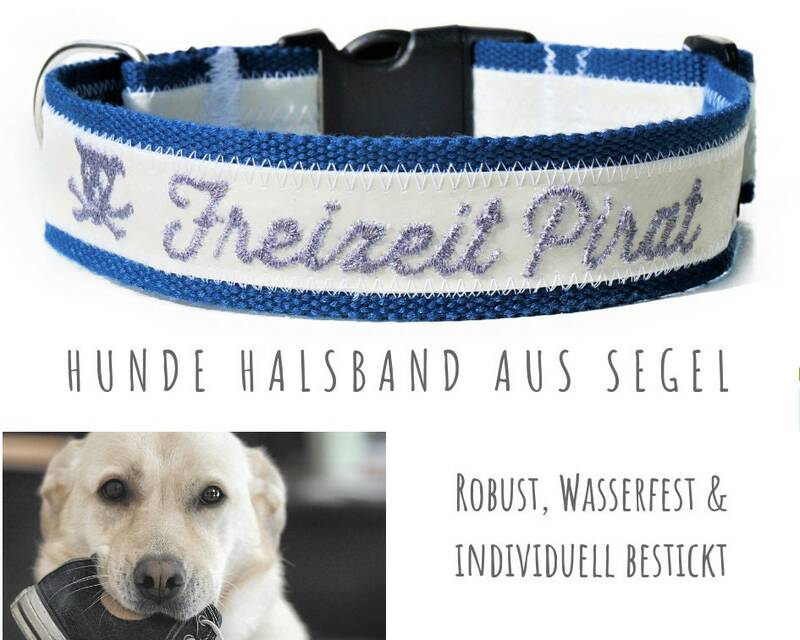 The collar is adjustable and therefore suitable for a dog with 50-55 cm neck circumference. The exact length can be adjusted precisely by means of a slider. 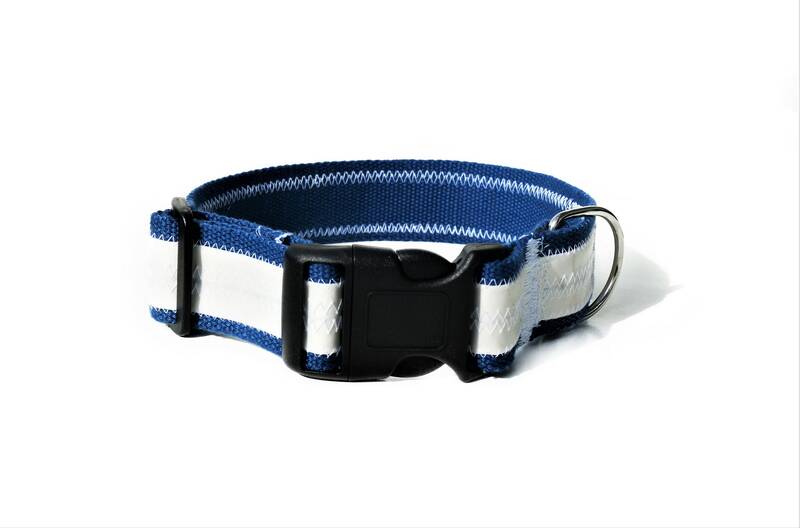 The collar is closed with a sturdy, slightly curved Acetal clamp.